The templte design itself is based around the classic yellow L Plate icon, a modern car wheel image and an engaging car logo. 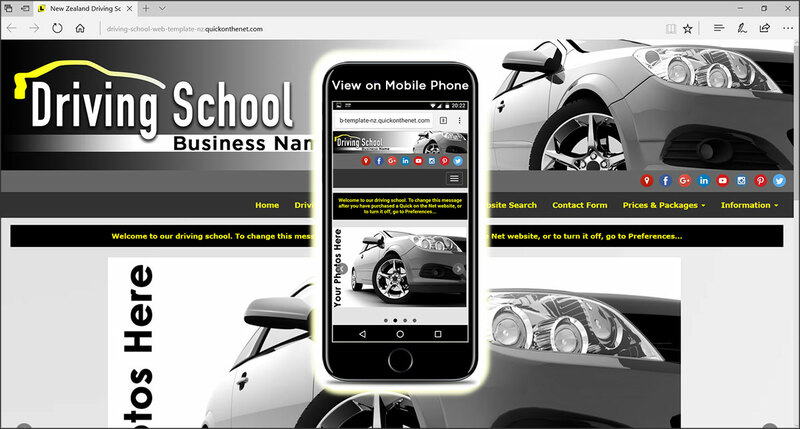 For Driving Schools in New Zealand, 3 professionally pre-designed website solutions are available for your driving school business. We can accept your payment in Australian Dollars or US Dollars. You can also add videos to your site. For example, as a driving instructor, you can show movie action clips of real students learning to drive and provide tips on tricky driving manoeuvres, such as reverse parking, or the dreaded emergency stop.